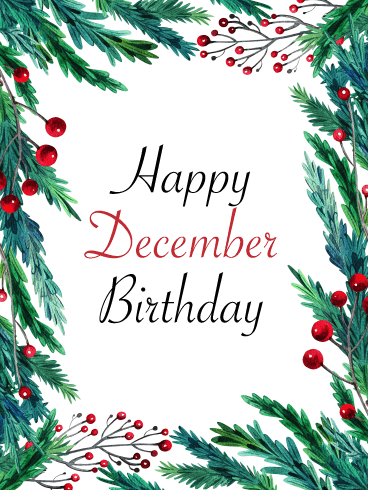 January is the start of the new year, but if it’s also the birthday month of someone special to you, don’t forget to get them a birthday card to show how much they mean to you. 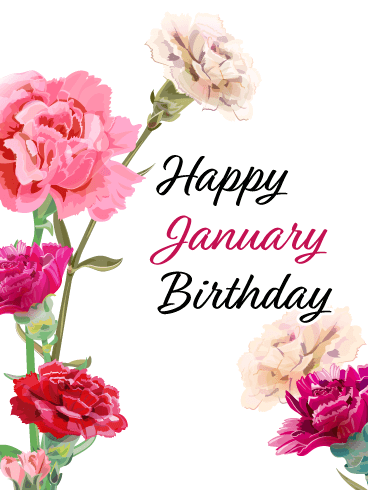 This simple, elegant card is decorated with carnations, the January birth flower, which symbolizes the loyalty and devotion those born in January hold so close to their hearts. Roses are red, violets are blue. And guess what else? 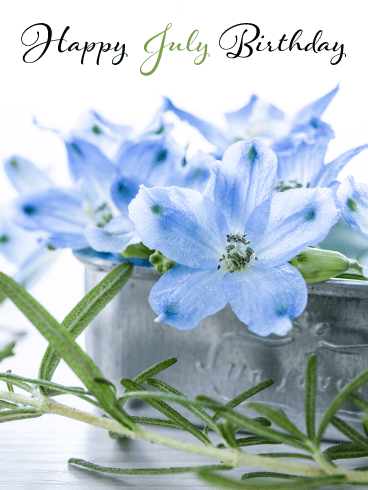 They’re the birth flower for people born in the month of February! 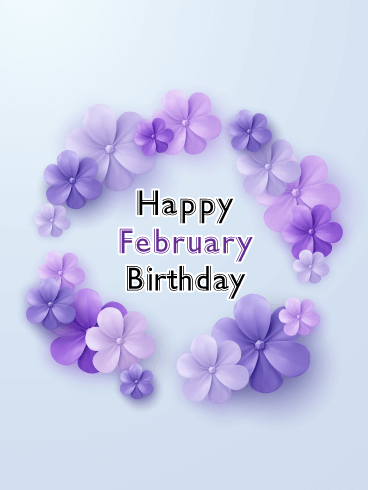 If you have a friend, family member, colleague, or neighbor with a birthday coming up in February, honor their special day with this special birthday card that represents their honesty and humility with beautiful violets. 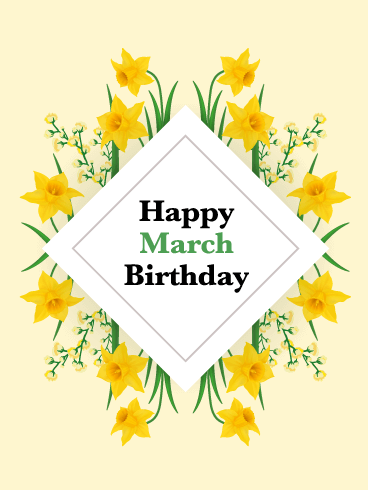 Folks born in March are known for their faithfulness and prosperity, represented by their stunning birth blower, the narcissus. This flower signals new beginnings, the perfect way to wish someone special a happy birthday. This is a truly unique birthday card anyone in your life would be happy to receive. 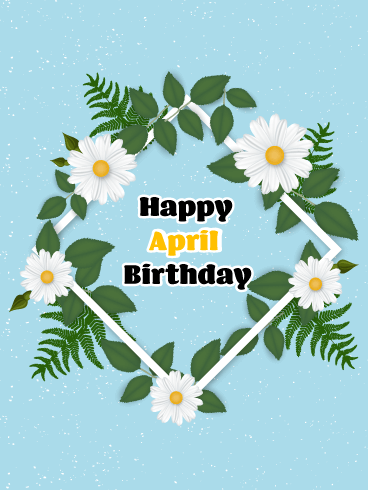 The combination of the daisy’s simple beauty and the fact that it’s the birth flower for the month of April makes this lovely birthday card a stellar pick for the guy or gal in your life celebrating their birthday in April. The daisy is representative of innocence, of loyal love, and this is your chance to show that special someone how much you appreciate their loyalty and love. 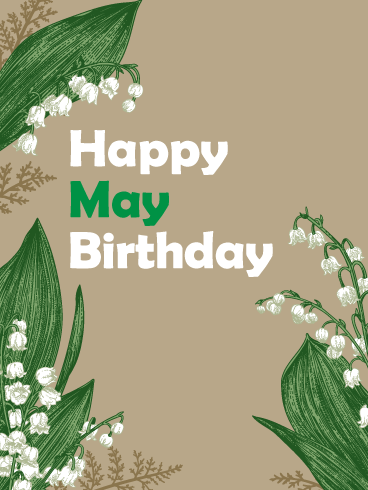 While the lily of the valley isn’t the most popular flower, it’s special to everyone with a May birthday, since it’s their birth flower. Show that special someone how much you appreciate them on their big day with this custom birthday card. Just as people born in May are known for their kindness, the lily of the valley is representative of sweetness, making this the perfect pick. 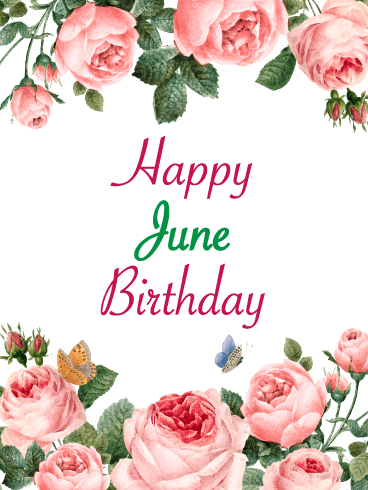 If you’ve been searching for an ideal birthday card for someone in your life with a birthday in July, we’ve got the custom card you’ve been searching for. This elegant card is centered on delphiniums, the July birth flower, a representation of an open heart full of positivity. Is there anything sweeter than that?! We think not! 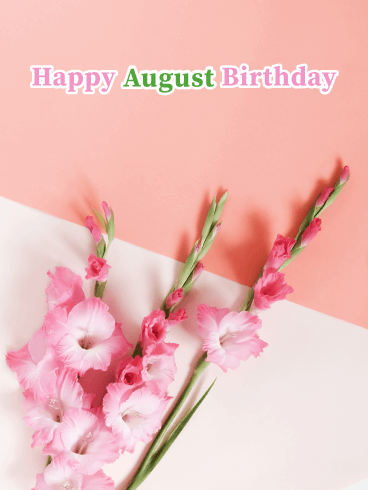 Show that important person in your life with an August birthday how much they mean to you with this thoughtful, beautiful birthday card. The gladiolus, the official flower of August birthdays, is known for embodying strength and generosity. This sweet sentiment is perfect to share with someone on their special day, and they’re sure to love your thoughtful card. 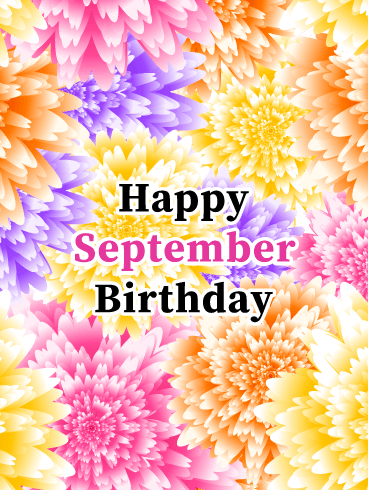 Nothing spreads birthday cheer like bright purple and pink and orange and yellow flowers. This birthday card is simply perfect for that September birthday in your life. The official September birth flower, an aster, represents love, and what better sentiment is there to share on someone special’s birthday? 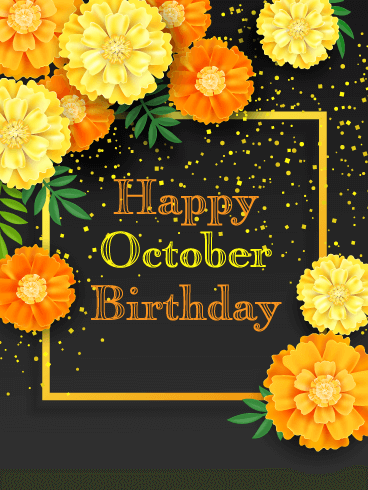 Stunning marigold flowers adorn this one-of-a-kind birthday card perfect for any friend or family member celebrating their birthday in October. 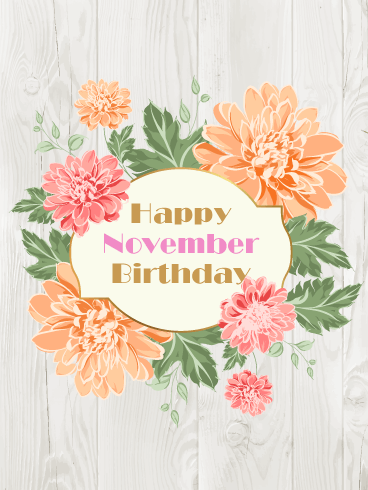 People born in October are known for being passionate and creative, and this card aligns perfectly with that. They’re sure to love it! For the person in your life celebrating their birthday this November, send birthday wishes with this awesome card that celebrates their gorgeous birth flower, the chrysanthemum. How gorgeous are those colors? Chrysanthemums represent friendship, joy, and happiness, everything your friend should be looking forward to on their special day. It probably doesn’t come as a surprise that holly is the official flower for those celebrating a December birthday. Wish that special someone in your life a happy birthday full of good fortune with this fabulous birthday card. It’s sure to bring them lots of holiday cheer.